– Someone said this to me recently, recounting a conversation, but when those words fell from those lips, it was simply Jesus sitting across from me, speaking truth into my life, full of compassion. 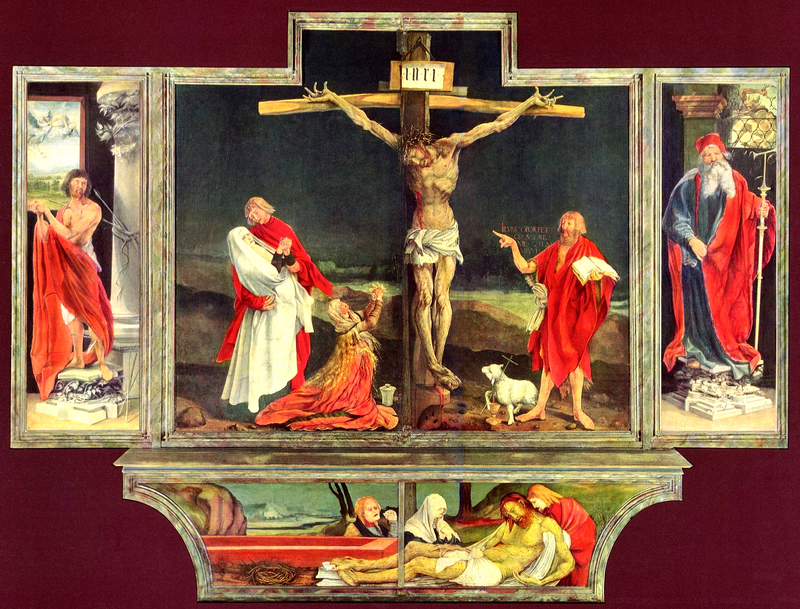 I’ve been meditating (read: staring) on Jesus on the cross recently–especially Grunewald’s Issenheim Altarpiece, which I saw in real life this summer. I bought one of those 9×11″ cardstock copies in the museum shop when I was in Colmar, and I think it’s the best 10 euros I spent the whole trip (except, perhaps, for a particular cheese plate in Reims). Our efforts (my efforts) to do ALL THE THINGS, to accomplish, and be The Most Patient, and The Most Present, and The Most Efficient, and The Most Devoted–all these things keep us from recognizing, resting, and realizing (letting sink in) that All The Work, All The Things have already been done. Everything was done the moment Jesus Christ died on the cross and was raised back to life by the Father. God, in Jesus, did all the doing that needs getting done. It’s no competition. To pretend, or try to make it one, is to ignore everything God’s already done. This entry was posted in quotation and tagged Issenheim Altarpiece, Jesus by Emily. Bookmark the permalink.